One of the best things about living in the West Malling area is the fantastic Farmers Market that takes place on the 4th Sunday of each month. 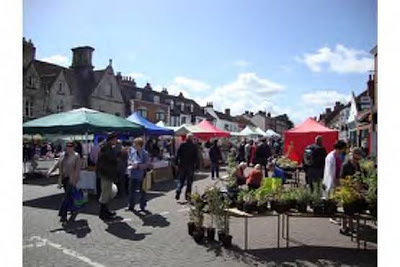 In fact the next market is just a few days away on 28 April 2013 and we can’t wait to browse the stalls that line the High Street; after all it’s what that beautiful wide road through the centre of the town was designed for. In the national media recently there have been a lot of questions asked about the produce we eat and where it comes from, especially meat and processed foods that we buy in the supermarkets. The concerns over horse meat contamination that have filled the newspapers have only highlighted the fact that as consumers we have very little idea what is in our food, and what happens to it before it arrives on the supermarket shelves. A huge advantage of shopping at the West Malling Farmer’s Market is that everything sold there is produced locally and we can have direct contact with the farmers and producers themselves, asking them anything we want to know about the food we are buying. We can choose fresh meat, fish, bread, eggs, fruit, and vegetables direct from the source, and support our local economy at the same time. As shopping directly from local producers gains popularity, other ways of sourcing local products are starting to appear. A new online service called Farm Drop has begun in London and aims to spread all over the country. 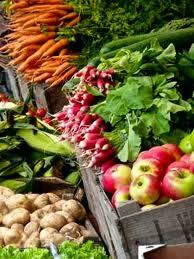 Their vision is to bring together regional groups of farmers and producers with local shoppers. The shopper will order online through the Farm Drop website and the farmers will bring the produce to a local venue such as a pub or community centre for a prearranged drop off. The ethos of Farm Drop is to use online technology to reconnect farmers and producers with consumers in their region, strengthening local communities. They believe that food sourced locally will be fresher, healthier, and simpler. They also believe that produce sold through Farm Drop can be sensibly priced without producers losing out, because the system will eliminate the transport costs and heavy mark-up often associated with supermarket food. Located in the Garden of England, West Malling is surrounded by farms and local producers, yet a huge proportion of the food we eat is imported from abroad. We all have a fantastic opportunity to choose good value, fresh, local food direct from the producers, whether we visit the farmer’s market, buy from local farm shops, or even set up our own regional Farm Drop. There is also a Farmers Market that has started at Offham. This is run on the 2nd Saturday of each month at Spadework in Teston Road, Offham. With the arrival of Offham Farmers Market too, the West Malling area is lucky to have the benefit of access to 2 markets a month where we can buy local produce and to talk directly to the people who produce it. 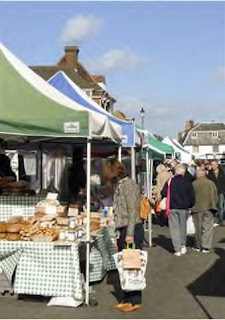 More details on Offham Farmers Market and we will be letting folks know more about the producers and stallholders on the West Malling Local Shops website very soon. In the meantime, with the warmer weather coming, it's a great month to visit a Farmers Market to catch up on what's available.